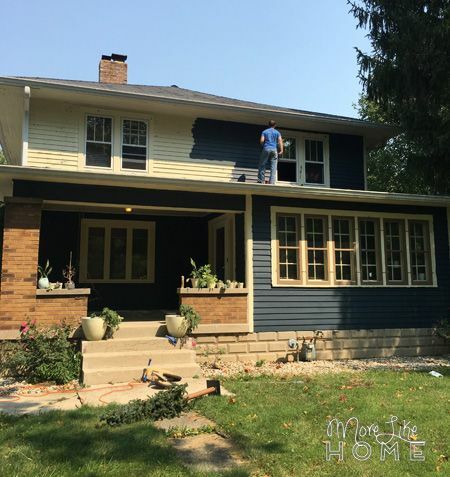 More Like Home: House Painting Update! ........ We're getting there. The end. JK. 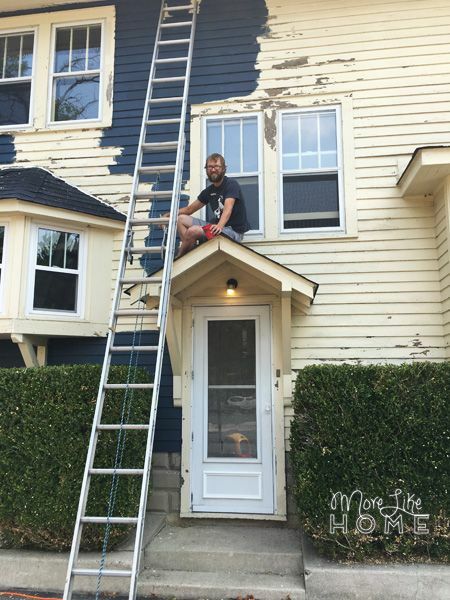 Definitely not the end, but for the most part we are husband is slowly chugging away painting this whole house ourselves. Himself. I do help some. This sounds bad. Let's move on. Today marks two weeks in and we are *almost* done with the first coat.We just have the soffits and maybe a window frame left to go. And then the second coat. But it's probably best if we don't focus on that right now. It's blue! Still yellow trim here, though. Now let's go back for a minute. 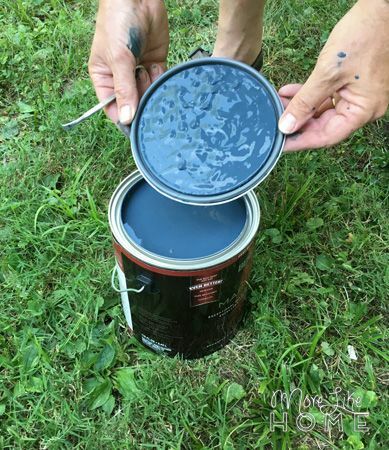 A few weeks ago I bought sample cans of paint in our top three colors - dark blue, light gray, and a medium greige/green - and shared them on instagram and facebook to get your feedback. Blue was pretty much a landslide winner. Which was almost all the encouragement we needed (we'd been leaning that way ourselves), but I couldn't quite pull the trigger. Because I made the same mistake I've made almost every. single. time. I've bought paint. I second guessed myself at the last minute and got a sample in a slightly different shade of blue. Why, Georgia?! WHY??? *regret* I guess I tend to panic when I think I'm committing to something too crazy (did I mention I've done this before?) and as we went to pick up sample cans, I put down the dark navy-ish blue I'd had my eye on all along and opted for a more greenish hue that was slightly lighter, brighter, and, I thought, less intimidating. But as I looked at that paint samples for a couple weeks, I just couldn't get into it. When the light hit it in the morning, it turned from bluish-green to bluish-GREEN. Not a fan. I even pulled out the blue we used in our back room and painted on a sample to see if it was better (way too vibrant for so much area). So, with the labor day paint sale around the corner that we could not miss, I ran back to get a sample of my original favorite blue. Behr Undersea. 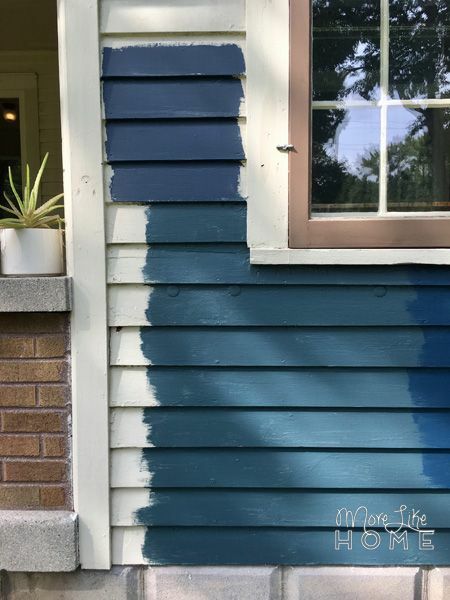 I painted a couple swatches across the front of the house and... whew. That was better. We had such a huge surface area to cover that we knew any color that felt even slightly too vibrant or too bright or too... green... would be exponentially multiplied and possibly painful to look at for our poor neighbors. So we looked for a deep blue that would feel bold on a large scale, but it needed to be muted and almost dull on the smaller scale of a sample can. Sample #1 at the bottom (Behr Underocean), sample from our leftover paint peeking in on the right, and the winner (Behr Undersea) at the top! 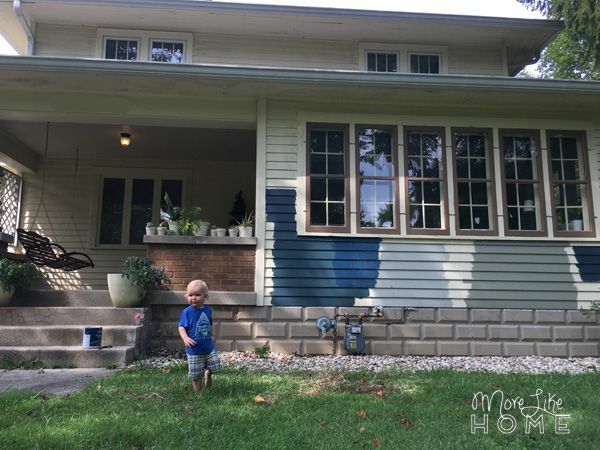 We headed to the labor day paint sale at Home Depot ($10 off/gallon!) 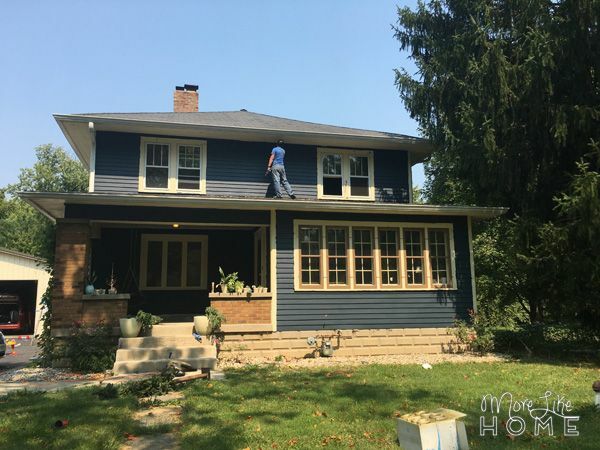 and bought all 8 gallons they had in stock of Marquee flat exterior paint, plus a gallon of white satin paint for the trim. And ever since then we've been painting. 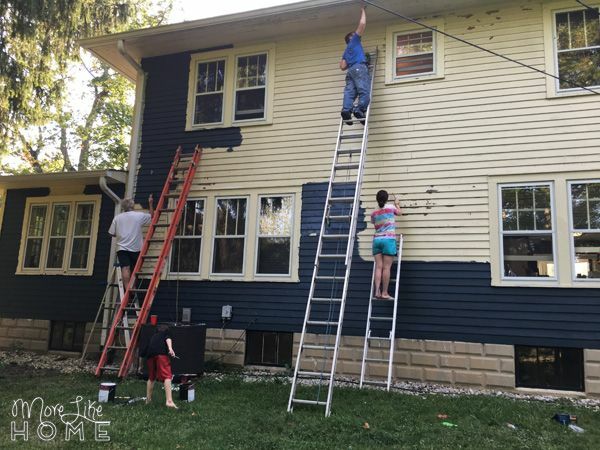 My family actually came to town Labor Day weekend to help because they are amazing (and my dad came back this weekend and painted the entire back of the house by himself!). We spent Saturday exploring a state park before getting our hands dirty Sunday afternoon and Monday. With their help we got a first coat on the front of the house, and almost half of the sides. It was a great start. 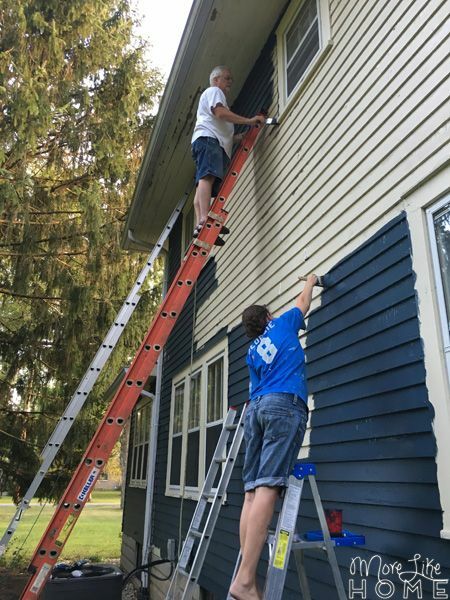 Our handy neighbor Steve loaned us all these tall ladders. 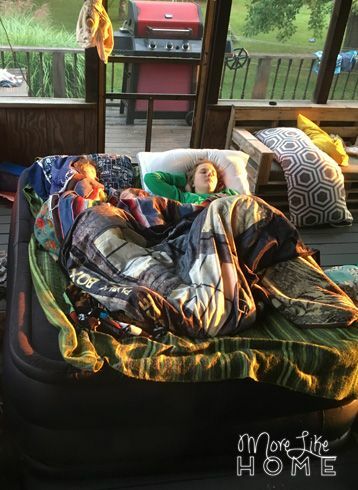 They even had a weekend camp-out on the deck with our boys. This guy turned out to be a great and very enthusiastic helper. 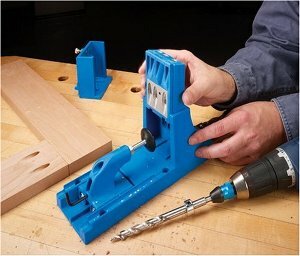 Here he's taking out a few small screws so we can patch the holes! 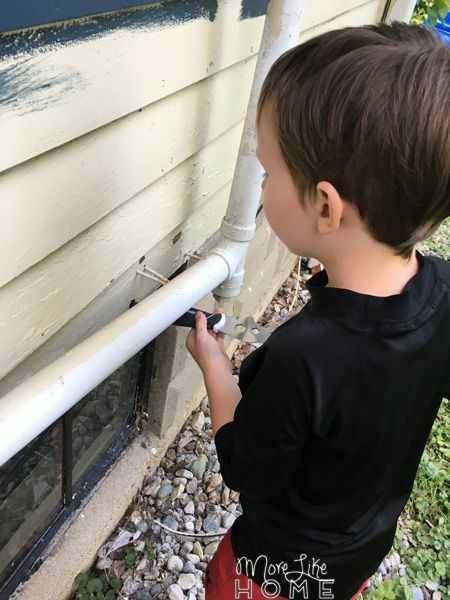 He spent the day running around passing out caulk, pulling nails, and painting anything he could reach. 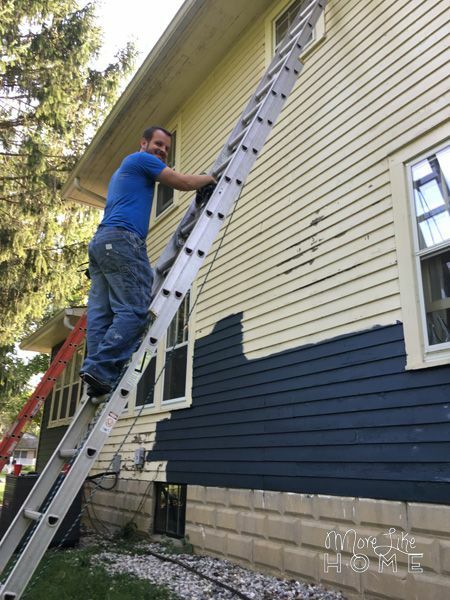 My BIL, who happens to be a roofer, did some painting but also made some repairs to our roof and fixed our attic fan. Checking all kinds of things off our to-do list to get winter-ready! It is so scary up there. You'll notice me at the bottom on the small ladder. The front and back are easiest because there is a roof to stand on. So also less scary. 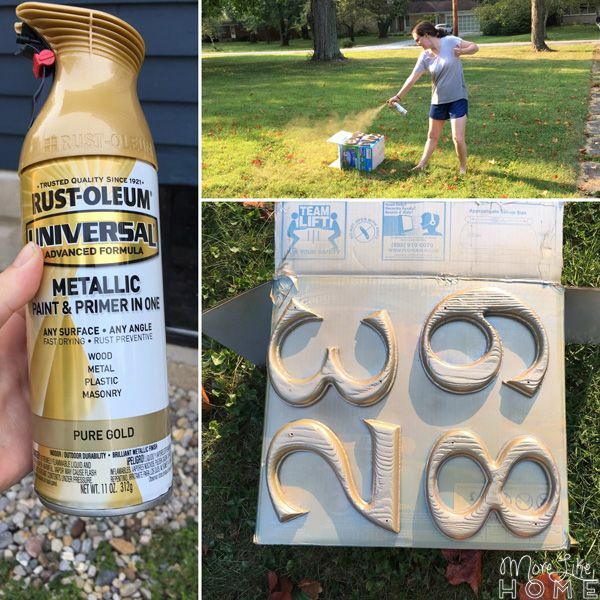 My sister gave our house numbers a shiny golden makeover. Note her excellent form. She's a real pro. And here is the hero. For the last two weeks he's come home from work and painted/scraped/caulked for at least a couple hours until it's too dark to go on. And you guys, he does it without a word of complaint. He just does it. Then he comes into a reheated dinner that's leftover after the kids have eaten and gone to bed. Ladies, this is called a Keeper. 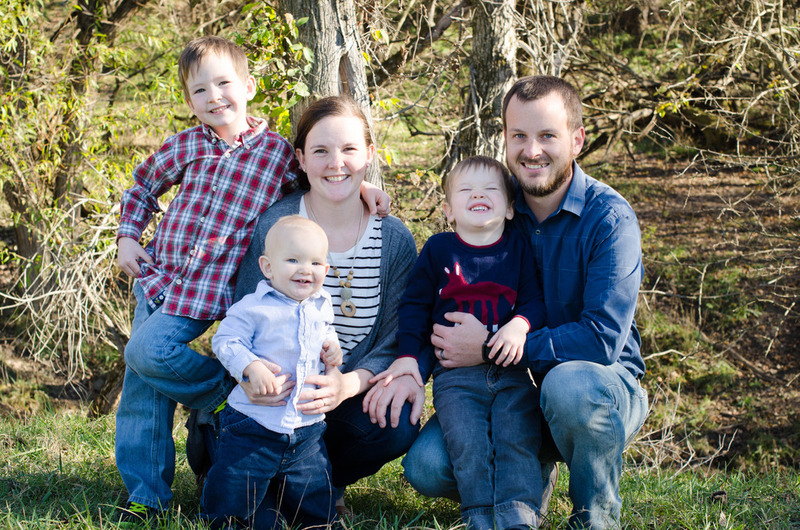 We did have two blessed nights of rain delay last week when we got to function like a normal family, with dinner and bedtimes. 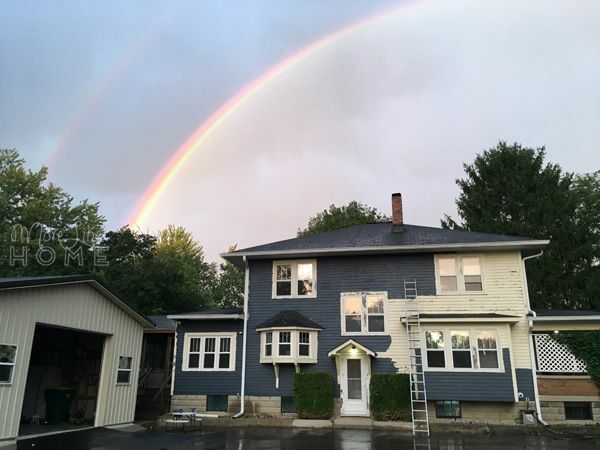 Plus even saw the most spectacular double rainbow of my life. No picture did it justice. And I know it's like "okay, it's a rainbow" but you guys should have been here. It was MAGNIFICENT. Its a big job and going to look amazing when you get finished.